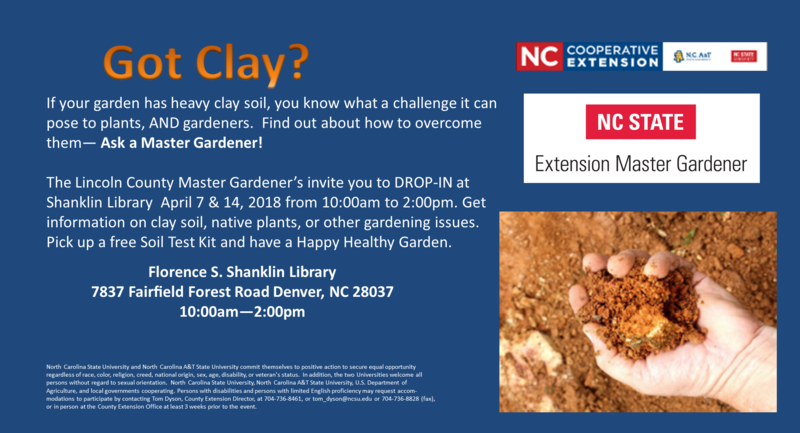 Ask an Extension Master Gardener Volunteer! For more information, call the Lincoln County Cooperative Extension office at 704-736-8461. • Getting Dirty in Your Garden - EMGV Radio: How to Become an Extension Master Gardener Volunteer in Durham County? • You Could Be an Extension Master Master Gardener Volunteer!